We have thousands of properties for sale all over France. But we've no property for sale in Vichy at the moment. And that's something we want to change. If you have a property to sell in Vichy (or nearby) then act now to get a 50% discount. Just place your advert in the normal way (Click here to place your advert). Then send us an email quoting "Vichy" and telling us that you you saw this offer. Vichy is justly famed for its thermal mineral waters, but the town has so much more to offer than just this. Its architecture is diverse and beautiful, there are parks and gardens to explore and there is no shortage of culture as Vichy is home to a glorious Italian styled opera house as well as a renowned philatelic (postage stamp) museum. Vichy is known throughout the world for its thermal springs and health giving mineral waters. The waters are said to help alleviate digestive problems, chronic rheumatic disorders, some forms of diabetes and even to aid slimming! Vichy's hot springs have attracted visitors to the town since Roman times and for a while it became a prestigious resort for wealthy Parisienne socialites. As the rail network expanded throughout France the town gradually became accessible to all. 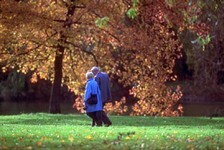 Vichy boasts five beautiful parks in which you can stroll and enjoy the many varieties of trees grown there. Some of these trees are quite rare species and it is clear to visitors that conservation is an issue taken very seriously by the people of Vichy. An unusual and interesting attraction is a 'Fish Observatory' where you can study the natural behaviour of migrating salmon and other fish through four large glass windows. The Second World War is a period in history of which Vichy is not proud and the town has done its utmost to live down the fact that it was known as a centre of Nazi collaboration under the government of Petain. Modern day Vichy is, however, a lively and welcoming town. Vichy has some superb sporting facilities, and plays host to many National and International sporting competitions. 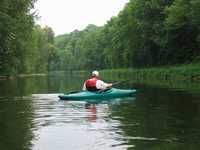 Facilities include golf, swimming, kayaking and canoeing, tennis and flying. As with other towns in central France it is not possible to fly direct from the UK, but internal flights go into Clermont Ferrand airport and rail and road links are good with the town accessible on major routes from Paris, Marseille, Lyon and Bordeaux. The town itself is a famous and elegant spa; so for a good central location expect to pay a premium, as in any fashionable area. If you have a flexible budget there is a large variety of property available, including fashionable town houses, converted water mills and country mansions. If you are seeking a renovation project the countryside around Vichy may be a good place to look, as it is still possible to pick up a barn for renovation without breaking the bank. Do you know Vichy better than we do? Do you have photos of Vichy? Vichy is situated in Central France,close to Clermont Ferrand in the mountainous Massif Centrale. In south east of the Allier (03) department in the region of Auvergne. Access: By rail direct from Paris, Marseille, Lyon, and Bordeaux.By road: A71 (Paris-Clermont Ferrand). A72 (Lyon-Clermont Ferrand). A75 (Clermont Ferrand-Montpellier). Economy: Mineral waters (health, beauty and tourism) Chemicals, Pharmaceuticals and Biotechnology. Interesting fact: Vichy has such excellent sporting facilities that it hosts several international competitions as well as many French championships.